I had the opportunity to be on two separate Star Alliance flights this month – US Airways and Air Canada. As a Premier Executive on United Airlines and a Star Alliance Gold member, I could board early and access the airport lounges before my international flights. Those are meager benefits for flying 50,000 miles with Star Alliance partners. Even worse, Star Alliance Gold status doesn’t give any useful perks like advance seat selection when you book your flights on Air Canada and USAir. These benefits from the Star Alliance website are obviously over exaggerated or not honored by all Star Alliance members. I was on a domestic flight operated by USAir, and an international flight operated by Air Canada. Both carriers tried to charge me for picking an aisle or window seat during the reservation process. USAir claimed their systems were not linked to United, and could not verify my status, when I called them to get out of a middle seat – and told me it would cost an extra $15 to $20 if I wanted to switch. Luckily, the USAir agent was kind enough to give me an exit row seat without any additional fees. Air Canada also tried to charge me C$15 for selecting an aisle or window seat during the reservation process. 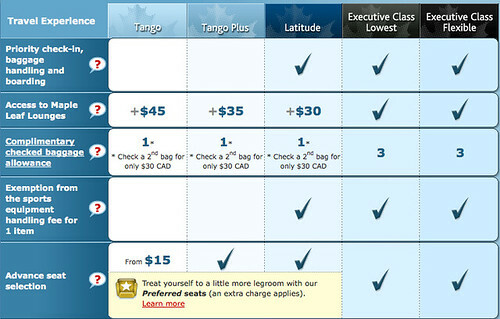 Air Canada was more straightforward when I called to change my seat – the agent told me I had purchased a low fare ticket (Tango Class). Given my recent experiences, I’m not sure if there are any incentives to remain loyal to Star Alliance, or any airline, for that matter. If you’re still keen on getting status on Star Alliance, I strongly suggest you checkout Statusmonger’s previous post: Fast Track to Star Alliance Gold. As a Star Alliance Gold member with a US carrier (Continental, United, or USAir) in the US, you’re allowed to access Star Alliance member lounges (for any of the US or international carriers, like Singapore Airlines) when you fly on an international itinerary. FYI, here’s Statusmonger’s previous post on how to fast track to Star Alliance Gold. 1. People have been using numbers from friends and family to get Star Alliance Gold status on their boarding passes, which I think is completely bogus. People can modify a boarding pass printed from their own printer; but how can someone modify a boarding pass printed at a Continental kiosk at the airport? 2. Partner airline carriers, like United, refuse to validate Premiere Executive and above status via phone when Continental agents call them. This one I can believe, especially when it comes to United. Fortunately, I was able to prove my United Airline status using an old Red Carpet luggage tag – the United Mileage Plus number on the tag matched the boarding pass. This experience really made me wonder on how United and Continental is going to merged two inefficient operations (see previous post). When I was flying Air China in Hong Kong trying to access the Air China lounge, the Air China agent also wanted me to present my United Premiere Executive card to gain entry. Instead of arguing with the Air China agent, I walked down the hall to United’s Red Carpet Club. At the Red Carpet Club, the United agent also asked me for my Premiere Executive card. When I told the United agent that I didn’t have the card with me, she was able to validate my status on United’s system. In disbelief of the new process, I requested to speak with a manager to better understand the need to present airline status cards. I was told by the manager that there are too many people with airline status accessing lounges; and since the lounges don’t have enough staff members to maintain them, the airlines are trying minimize the amount of visitors per day. I’m not sure if the manager’s story is true or not, but I have learned from this experience that I must carry my United Premiere Executive and Delta Gold cards with me from now on. I also spoke with Statusmonger (as he has it in his laptop bag) and the Coach about this issue and it seems like carrying status cards has always been a part of their packing routine. For the record, I also checked on the Star Alliance website which states a valid Star Alliance Gold level card is required for entry to the Star Alliance lounges (Star Alliance Lounge Access Policy). What’s the point of Continental’s Presidential Platinum status? Continental Airlines is trying to bring back some prestige to airline status by introducing an invitation only, Presidential Platinum status. To get Presidential Platinum, you will need to get Elite Platinum status with Continental; and you must have spent $30,000 USD on Continental Airlines, excluding partners. Presidential Platinum does not offer anything more than Elite Platinum, except for being ahead of Elite Platinum for upgrades. Presidential Platinum status members will be prioritized behind United’s Global Services and 1K members, but ahead of Premier Executive members when traveling on eligible UAL flights. Essentially, Presidential Platinum is a junior United 1K status. One more thing: Presidential Platinum status holders also get their Continental credit card annual fee waived. But who pays for annual fees on credit cards these days? Continental missed its mark. What’s the point of another status tier when it doesn’t have any added benefits? Continental should have made Presidential Platinum like Delta’s new Diamond status – which requires 125,000 Delta miles to quality, and comes with tangible benefits like six (6) system-wide upgrades. Since joining Star Alliance, Continental has been creating closer ties with United. Continental has adopted United’s system-wide upgrade this year. I am not sure if Continental’s OnePass program is heading in the right direction.